The Tivoli Theatre is one of the most unique and historic theatre spaces in Ireland having played host to a long line of highly revered and well loved actors, playwrights, musicians and comedians from all over the globe. 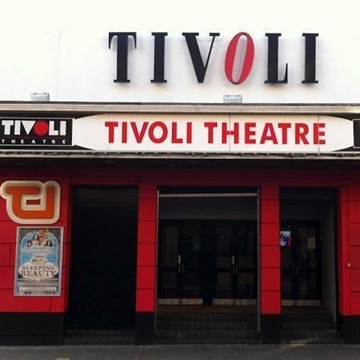 The Tivoli is an exclusive cinema styled theatre, having been the infamous Tivoli cinema prior to its renovation in the mid 80s. The auditorium itself seats up to 500 people and is a highly desired space not only for the arts but for commercial use also. The possibilities are endless when it comes to this theatre venue. Theatre converted from an old cinema with 1 stage for touring acts and 1 for an Irish music show.